Oranges are among my favorite fruits, probably only surpassed by strawberries. Here’s the thing though–you can eat strawberries just the way they are or with chocolate, if you feel like doing something outrageous. Or just simply fill your pancakes with strawberry jam. There is a pattern there–when you think of strawberries, you think of dessert. Oranges, however, are more versatile, thus allowing you to use them for several dishes, as a means to reinforce the flavor. 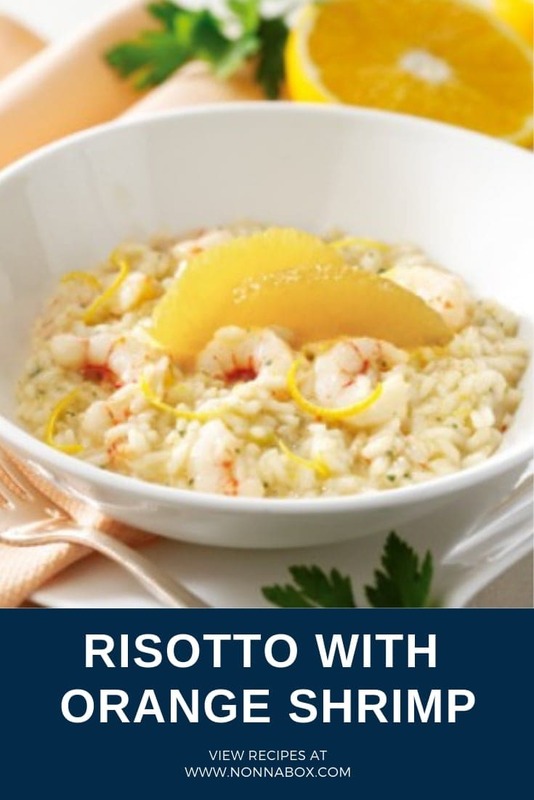 The risotto gets so much flavor, just from absorbing the orange zest. And shrimps…well, our love for shrimps isn’t a mystery–or shouldn’t be one. Shrimp makes for an excellent antioxidant and it’s a source of nutrients like vitamins B6 and B12, as well as selenium. It’s one of the best low-calorie sources of protein and the best part is that it can also increase a hormone which makes your stomach growl less for food and feel fuller instead. 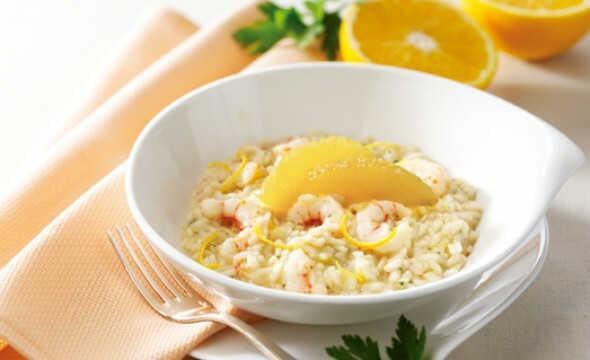 Although in all honesty, your stomach will have a tough time not asking for a second portion of risotto with orange shrimp, as these three were just meant to be together. It’s not often that three things you like on their own blend so well together. P.S. : you aren’t that keen on oranges, you can also replace them with grapefruit. Chop the shallots and grate the orange rind. Saute the shallots in a saucepan with butter and oil. Add the rice, moisten with the wine, and let it evaporate over high heat. Throw in the dissolved Fish Knorr bouillon granules and stir constantly. Add the orange juice and shrimp 3 minutes before end of cooking. Turn off the heat, stir in Knorr Magic Aromas of basil, orange zest and pepper. Let it stand for two minutes and serve.